this summer has been full of picking fruit. we found a u-pick orchard that unfortunately is closing after this year. the good thing is we utilized it to the max this year. 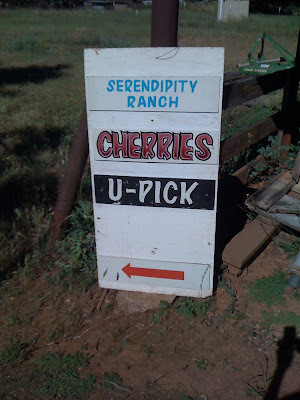 we picked bright juicy cherries. their beautiful deep red allure. a big bucketful was exactly what we picked, considering both the affordability and sweetness of the fruit. 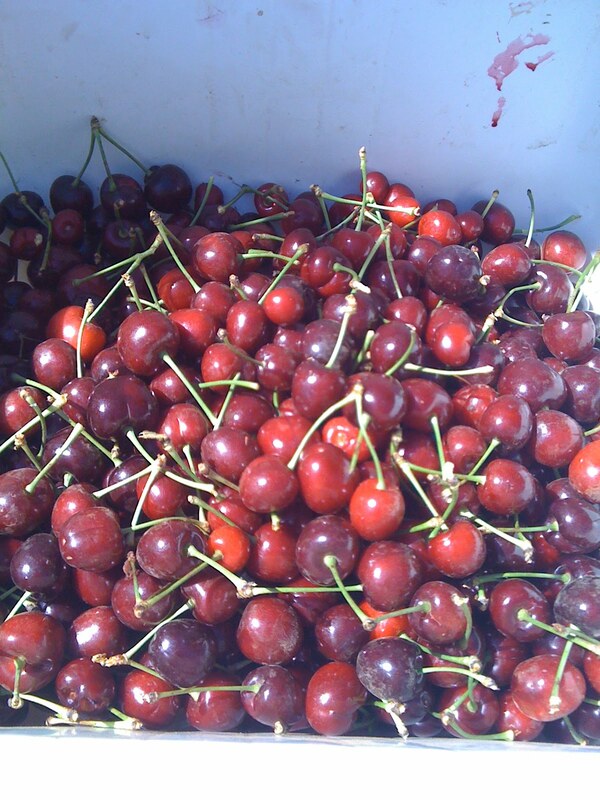 though we could have frozen some, every last cherry was eaten fresh. 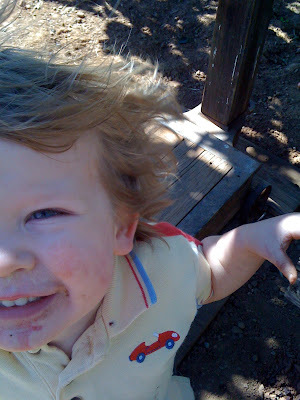 do you think he enjoyed tasting any while we were picking? next came the apricots. my very favorite in many ways... i have childhood memories of eating them straight off my parents' tree, nice and warmed by the sun. 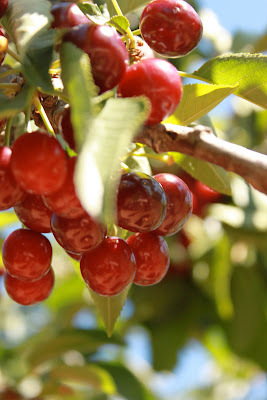 fully nine months pregnant, i tried to obey my mom's orders to not climb the ladder like i did do weeks before while picking cherries. but i could not resist the photo op, since our 4th child was too comfortable inside of me instead of keeping me company on the outside. picking apricots is serious business. orders are given and the boys climb to the sweetest fruit. this one seemed to find his job is enjoying the fruit while we pick. of course we had to taste test to see the quality of the fruit. it definitely passed the taste test. to have extras after the fresh fruit eating. i am dreading the day when there are four teenage boys eating at our house. it was nice that he decided to show up and join us on one of these fruity excursions. i was starting to think he was staying in my belly as a protest that he could not be a taste tester this year. no worries baby boy. you will be joining in all the fun all too soon. once again, he was more than ready to accomplish his job as the royal taster. and if we left sick to our stomachs it was also our own fault. i think this little guy took him rather seriously. aw... fresh fruit. i will miss summer. i will miss this orchard. hopefully there is time to go one last time before the season ends.